Hi. My name is Gracie. 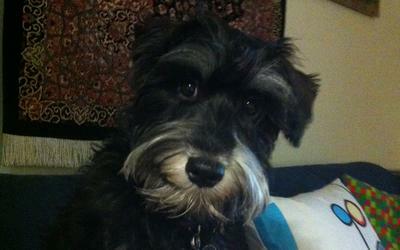 I am an eight month old Miniature Schnauzer, and I live in sunny Cyprus. 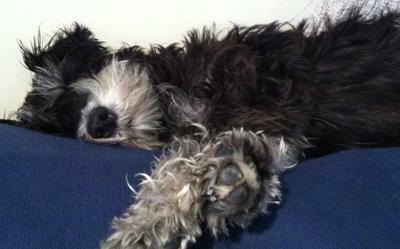 I have grown fast since Mummy and Daddy picked me in Greece and brought me home. I enjoy playing with my brother the African Grey Parrot, but I am not allowed to chase him. That I save for the birds in the garden! I am still not sure about cats, I know they are similar to me but they don't smell the same. I am a very good guard dog for Mummy when Daddy is away. I tell her when cars, cats, birds and leaves are going past our gate. Mummy says I am very clever! Everyone in the village loves me. I go to the pub and get lots of scratches and tickles, and even treats. 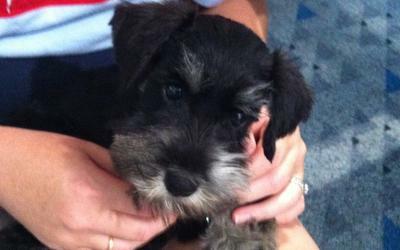 Mummy and Daddy love me so much that they have ordered me a new baby sister which is an all-black miniature schnauzer (so they can tell the difference, I am sure). Gracie, you could be my twin sister except one of my ears stand up. I live in Texas, USA and I'm 6 months old. We get a little winter here but not much. I concider it a privilage to know some one who lives in such an exotic place as Cyprus. 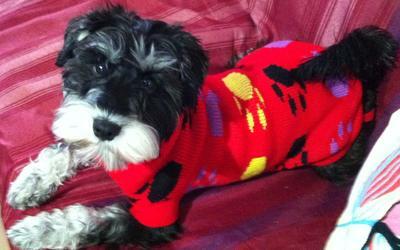 I hope your new Schnauzer sister is fun to play with, but you know it's up to you to teach her how to behave in her new home. I can tell you have Great People parents as they let you use the computer like mine does. Hope to see more postings.....Danka II.